In August 2018, Scrum.org launched the Professional Scrum Master II class. The intention of this class is to offer the Scrum community an advanced class designed to support Scrum Masters in their professional development. Rather than “broadcasting information” and acting as “experts”, the Scrum trainers behave as Scrum Masters. Using servant-leadership as a mindset, all possible stances of a Scrum Master (e.g. coach, change agent, or impediment remover) are modeled, explored and practiced. Currently, Scrum.org has about 150 trainers providing the PSM II class around the world. Teaching this class resulted in lots of ideas for improvement. This is an on-going endeavour. It also triggered interest in the broader community. Former students of classes are eager to learn more about exercises they’ve experienced and would like to use them as a Scrum Master. Future students ask questions related to what to expect and how to prepare. What is the difference between the PSM and PSM II class? How is the PSM II class going to help me pass the PSM II assessment? How is this class going to help me become a better Scrum Master? How is servant-leadership part of the PSM II class? How is that class going to help me improve Scrum in my organization? That is why we decided to write a series of blog posts to answer the most common questions. It’s our intention to clarify the purpose, structure and learning objectives of the class. We hope it supports the decision-making process of attending this class with one of the awesome Scrum.org trainers and helps you optimize your learning experience. If you’ve got a different question about the PSM II class, feel free to share it. It might become another article in the series! The Professional Scrum Master (PSM) class explains the rules and principles of the Scrum framework. It serves as a great introduction to the Scrum and the role of the Scrum Master. This makes it an excellent class for people new to Scrum and/or people starting as Scrum Masters. The Professional Scrum Master class explains the ‘Why’ and ‘What’ of Scrum. The PSM class covers the principles and (empirical) process theory as the foundation of the Scrum framework. It captures all essential elements such as the Scrum roles, events, and artifacts. You’ll be made familiar with the concept of servant-leadership and the importance of the Scrum values in relation to the success of Scrum. As a Scrum Master, you’ll gain insights on how to start with Scrum or increase the effectiveness underway. 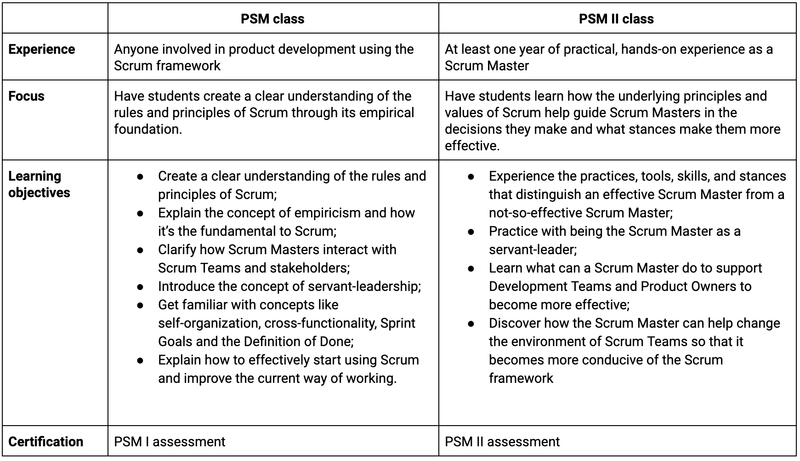 During the PSM class, you’ll practice real-life cases that encourage and challenge you to think as a Scrum Master. These exercises will give you first-hand experience with concepts like self-organization, time-boxing, and the consequence of technical debt. At the end of the PSM class, this visualization of the Scrum framework should no longer hold any surprises for you. The Professional Scrum Master II class is a continuation of the journey of Scrum Masters into Scrum. The class is not about teaching you new things about the Scrum Framework or complementary practices, but about improving what Scrum Masters already know. It delves into the challenges that Scrum Masters face and reflects more deeply on how the principles and values of Scrum inform what a Scrum Master should (not) do in those situations. The PSM II class starts where the PSM class stops. There’s hardly any overlap between both classes. We’re not going to spend much time on factual knowledge of the Scrum framework. 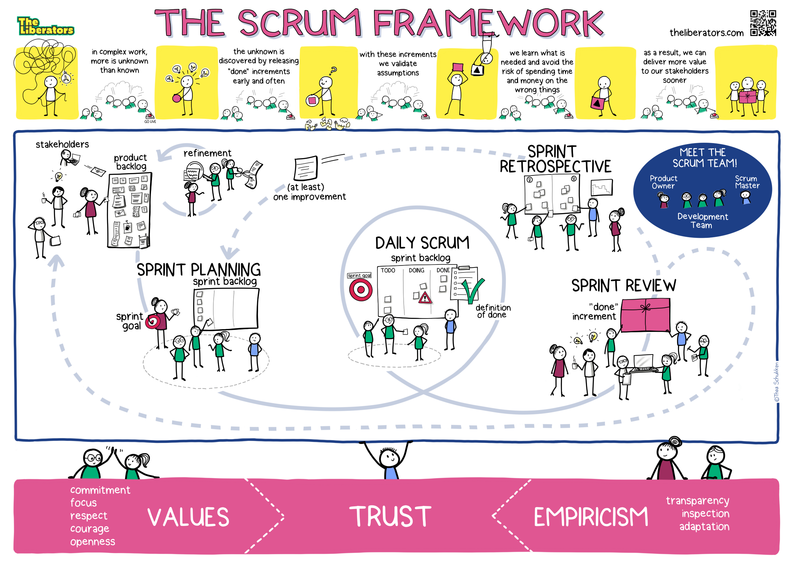 The visualization of the Scrum framework is present, however mostly as a gentle reminder. We assume you already know the events, roles, artifacts, and time-boxes. You’ve probably studied the Scrum Guide numerous times and have translated the theory into concrete practice while being a Scrum Master. 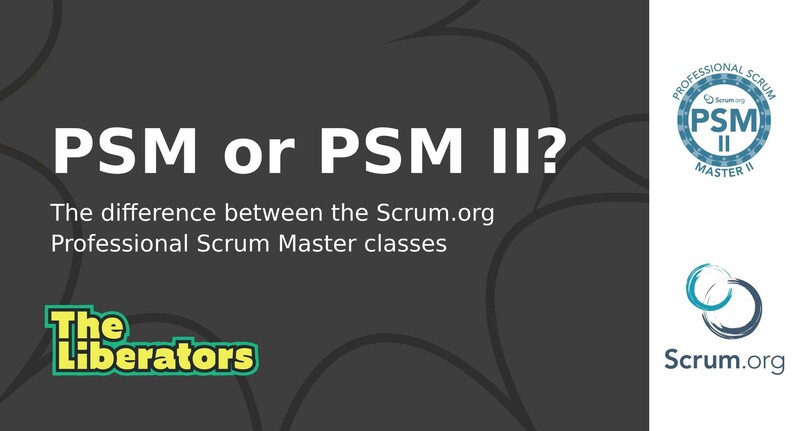 The purpose of the PSM II class is to have you experience what the Scrum Master role is about. Rather than us telling you what to do, we will build on our combined experience together. Instead of offering you a toolkit with ‘best practices’, you’ll learn how to think as a Scrum Master. Through this understanding, practices that fit your context will emerge automatically. Because this class was designed by Scrum Masters for Scrum Masters, the tools, practices, and techniques we use are excellent additions to your own toolkit. During the PSM II class, you will refresh your understanding of empiricism in Scrum and how it helps solve complex problems. You’ll learn the importance of the Scrum Values and how they help build an environment for effective Scrum. Most important, we’ll emphasize Scrum as a lightweight framework. There are many complementary practices that can be useful with Scrum — like User Stories, Story Points, doing a Daily Scrum standing — but they are not required. Often, these so-called ‘best practices’ become impediments themselves, rather than being useful ideas. By continuously focusing on the necessary mindset of a Scrum Master, you’ll discover how to become more effective in serving the Development Team, Product Owner and organization. How you show servant-leadership entirely depends on context. The PSM II class offers you the most important principles to follow: encourage self-organization on every level, empower the people doing the work to shape how they work, frequently inspect and adapt based on (measurable) outcomes. In the previous parts, we’ve described the difference between the PSM and PSM II classes. The table below captures this in one overview by describing the required experience, the core focus, the learning objectives, and the related assessment. This blog post is the start of a series of articles about the Scrum.org PSM II class. It’s our intention to answer the most common questions we receive about this class. This first article is focused on the question: “What is the difference between the PSM and PSM II class?”. If you’ve got a question about the Professional Scrum Master II class, feel free to share it. It might become another article in the series! 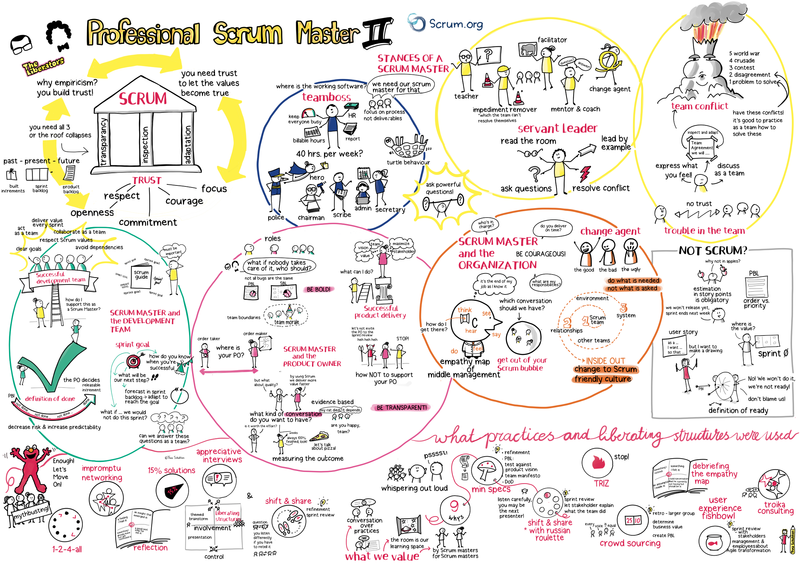 Interested in joining the Professional Scrum Master II class? Check our agenda for upcoming training possibilities or search for other Scrum.org trainers that offer this class as well. You can also join The Liberators Network, this is a community of professionals supporting each other towards (Scrum) mastery.